We have been receiving our fresh veggies from our CSA for a few weeks now. This week I was surprised to find what I believe is mâche. Mâche is a tender, heirloom variety of lamb’s lettuce. I had this recipe below (though, I tweaked it a bit)tucked away (from Southern Living) and had been wanting to use it for sometime but had never had the oppurtunity..due to no mâche. What a delicious summer surprise! Even David went back for seconds if that tells you anything! 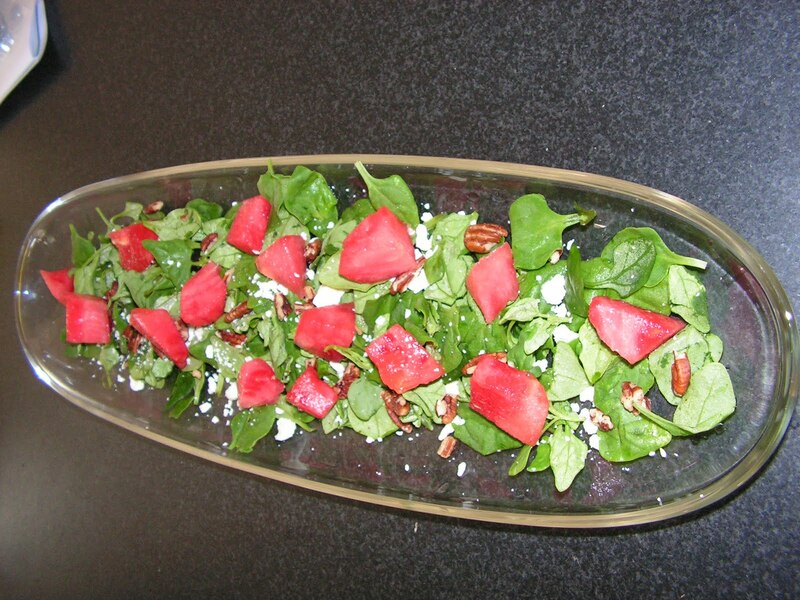 Combine mâche and watermelon in bowl. Add vinaigrette, tossing gently to coat. Spread mâche and watermelon mixture to a platter, sprinkle with peacans and fetta.